Volkswagen-Audi group vehicles have the ability to store faults within their electronic modules, some of these will be stored in the ECU but not illuminate the engine management light, ABS light or traction control light. The description of the fault also gives you an indication of the severity of it and if its a fault that's permanent or an intermittent fault. 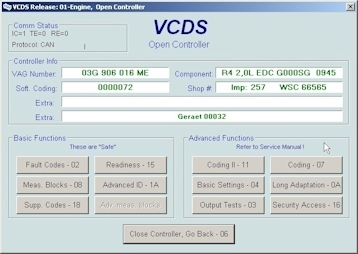 The VCDS / VAG-COM program is an application that is very similar to the genuine VAG computers in the main dealer workshops. 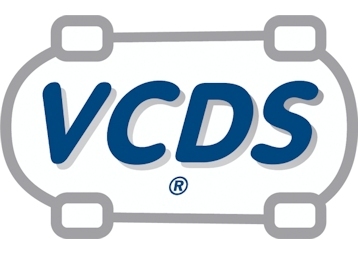 The services we can provide with VCDS are (but no limited to): investigation of faults, print out of the sorted faults in the vehicle's management systems / ECUs and the ability to clear all fault codes to see if they come back right away. 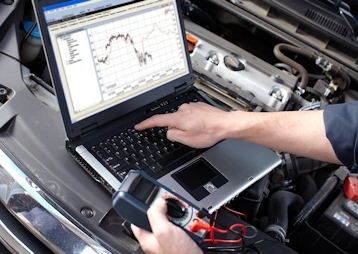 We can do live data logging while driving to see if all sensors are working correctly and if the car is running as it should. We can see if cars are loosing boost, pulling back on engine timing and many other things involving reading the live ECU data. Features in the central convenience system that are turned off at the factory can be enabled. 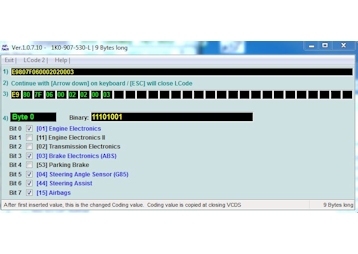 VAG TACHO: This application allows us to program new/replacement keys to cars and enable hidden features in the instrument display by re-writing the cluster firmware eeprom.